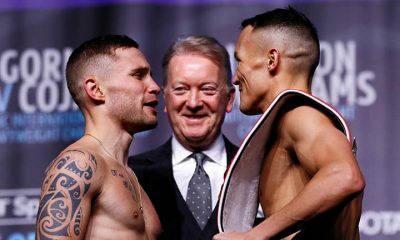 Representing Northern Ireland, Carl Frampton made history as the first boxer from that region to win world titles in two weight divisions. He has picked up numerous championships and accolades over successful amateur and professional careers. 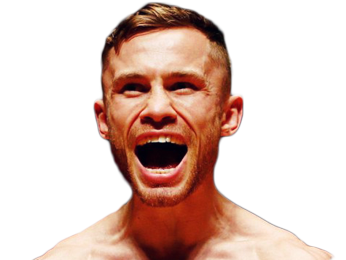 Born February 21, 1987 in Tiger’s Bay, Belfast, Frampton began his career training at the Midland Boxing Club. 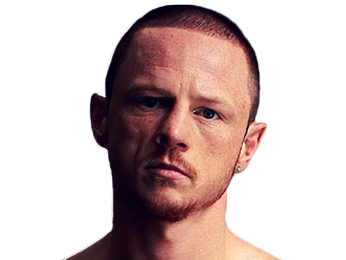 He was successful as an amateur early on, winning the Irish senior flyweight title in 2005. 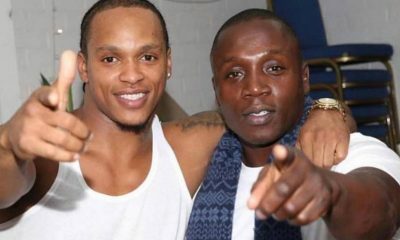 In 2007, he competed in the featherweight division at the European Union Amateur Boxing Championships, which were held in Dublin. He fought his way to the final’s, where he was defeated by Khedafi Djeklhir out of France, ending the tournament with the silver medal. In 2009, he won the Irish featherweight title and decided to end his amateur career with that victory. His amateur record was superb at 114 wins with only 11 losses. Carl Frampton made his professional debut shortly after that tournament on June 12, 2009. He fought in England, where he would end up fighting many times over the years, and he faced off against Sandor Szinavel. He scored a second-round TKO victory, announcing himself on the scene in a big way. 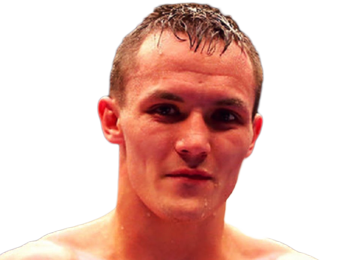 With two more victories before the end of the year, the Irish National Boxing Awards named him the nation’s prospect of the year early in 2010. He continued to live up to the hype, collecting three more victories before he put on his most impressive performance to that point, stopping Yuri Voronin in a thrilling contest on September 18, 2010. 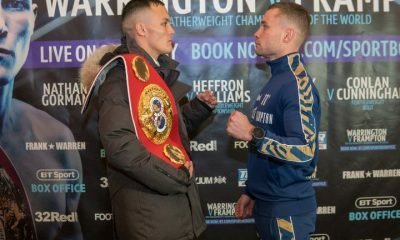 Three months later, Frampton was fighting for his first title, this one the vacant British Celtic super-bantamweight belt. He came ready to fight and took out Gavin Reid by way of second-round TKO. By September of 2011, he was adding another belt to his collection. 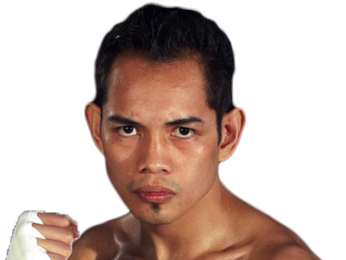 Fighting as a replacement for Kiko Martinez, he scored a fourth-round TKO of Mark Quon to win the vacant Commonwealth super-bantamweight title. 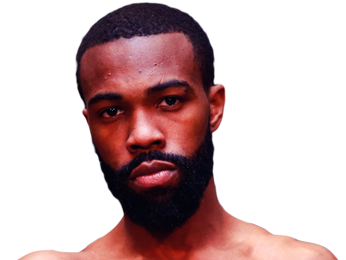 He followed that up with two successful defenses of that belt, which earned him a shot for the vacant IBF Inter-Continental super-bantamweight title. He was undefeated at the time, as was his opponent, Raúl Hirales Jr., a hard-nosed Mexican fighter. In another impressive performance, he controlled the fight from start to finish and ended up with a unanimous decision win. He then defeated Steve Molitor by sixth-round TKO. 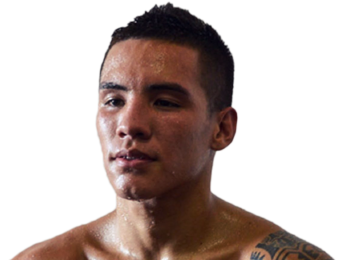 His next fight, taking place on February 9, 2013, was for the European super-bantamweight title, and it was against the dangerous Spanish fighter Kiko Martínez, known for his excellent punching power and his granite chin. Martínez had just taken out Bernard Dunne in only 86 seconds to win that European super-bantamweight title, and no man had ever been able to even knock him down in his career. 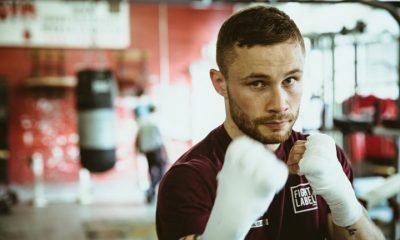 Carl Frampton had scored quite a few TKOs to that point, but he wasn’t known as a power puncher, which is why it was surprising to many when he finished his opponent in the ninth-round by TKO. What made it even sweeter was that he did so in Belfast, in front of his home-town fans. He tore through his next two opponents, first knocking out Jeremy Parodi in the sixth round, and then knocking out Hugo Cázares with a beautiful left hook in just the second round. 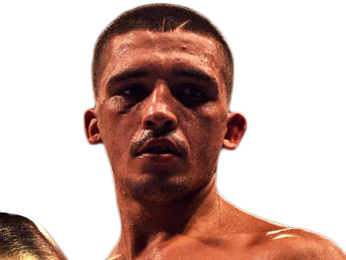 That set him up for a shot at the IBF super-bantamweight title, which was somewhat ironically held by a man he had recently defeated in Kiko Martínez. Their rematch took place on September 6, 2014, once again in Belfast but this time in an open-air arena. This time around, he scored a knockdown in the fifth round and cruised to a dominant unanimous decision victory, with the final scorecards reading 119-108, 119-108 and 118-111. 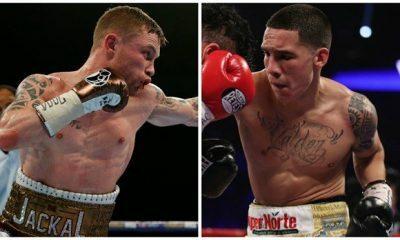 The Irish boxer defended his title with a brutal beating of Mexican-American boxer Chris Avalos, stopping him in the fifth round. His next fight, which was his first in the United States, proved to be far more difficult. Although he was a significant favorite over Alejandro González Jr., the Mexican fighter knocked him down twice in the very first round, and it looked like there might be an upset brewing. 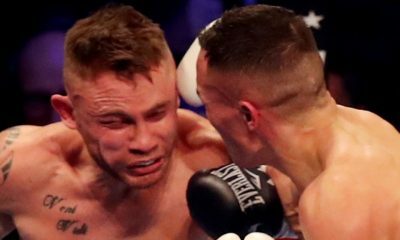 However, Frampton stormed back and took control of an electrifying fight. He won a unanimous decision, with the final score cards reading 116-108, 116-108 and 115-109. 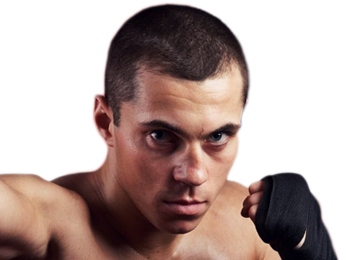 His next fight was February 27, 2016 against an opponent he had called out several years prior – Scott Quigg, an undefeated British fighter who held the WBA super-bantamweight title. 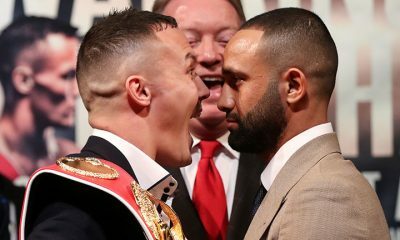 At the beginning of the fight, it looked like he would run away with it, as he controlled all the action and evaded Quigg’s punches. In the second half, Quigg made it more of a brawl and the two men traded heavy leather. It was close, but Frampton left with both belts, winning a split decision with scores of 116-112, 116-112 and 113-115. 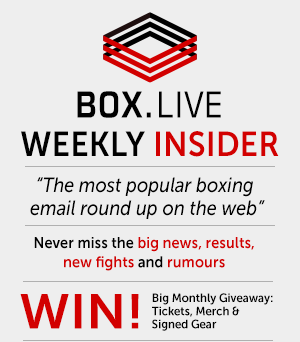 When he didn’t negotiate a fight with mandatory title challenger Guillermo Rigondeaux, the WBA stripped him of that WBA super-bantamweight title that he had just won. 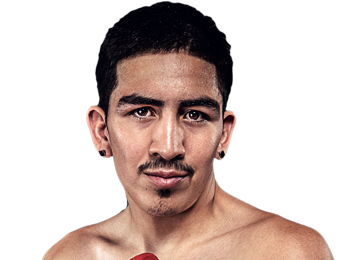 However, he had decided to make a jump in weight class, choosing to take on the undefeated Mexican fighter Léo Santa Cruz. The fight took place on July 30, 2016 in New York City’s Barclays Centre, making it his second fight on U.S. soil. In another thrilling contest that many called the fight of the year, he pulled out a close majority decision victory, with scores of 116-112, 117-111 and 114-114. 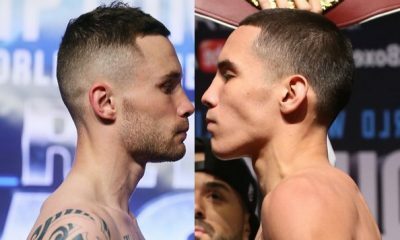 The punch stats showed how close the fight was, as Frampton connected on 242 out of 668 punches for an accuracy rate of 36 percent, while Santa Cruz landed 255 out of his 1,002 punches for 25-percent accuracy. With his victory, he ended 2016 as the Fighter of the Year according to The Ring, ESPN and the Boxing Writers Association of America. For such a close fight, a rematch was inevitable. This time around, the result was the opposite, as Santa Cruz scored a win by majority decision, throwing and landing far more punches throughout the contest. The final margin was razor thin, with Santa Cruz winning 115-113, 115-113 and 114-114. Sorry, no fights sheduled for Carl Frampton at the moment, check potential opponents & fights below. Sorry, we couldn't find any with fights scheduled with odds for Carl Frampton, please check back soon. Sorry, we couldn’t find any ticket details for Carl Frampton at the moment.